I have long admired Cuny Janssen’s ability to weave a story through the use of portraiture and landscape. Her monograph There Is Something in the Air is a superb example. The images overlap from one page to the next giving the illusion that the objects in the landscape mimic the subjects in her portraits. 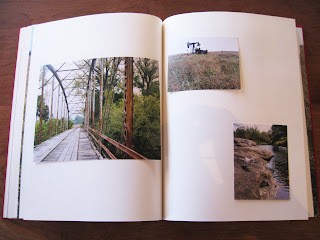 I walk away from this book feeling a deeper connection to her subjects after having a sense of the environment they exist in. The subtlety of her photographs can present a stark contrast to the realization of the lives her subjects lead. Janssen’s recent publications are some of my favorite monographs published in 2010. My Grandma Was a Turtle, published by Snoeck caught me by surprise since the photographs were taken in Bartlesville, Oklahoma, the town I was born in and spent the first twenty years of my life. I first heard of the project after Foam Fotografiemuseum Amsterdam held an exhibition of the work last Spring. The subject of Janssen’s photographs are of children with Native American ancestry, mostly children from the Delaware tribe. The portraits are beautiful, but what I am primarily captivated by is how the photographs of the landscape interacts with her portraits. Combined, these images weave a poetic story about a timeless land and people… a story many photographers strive to achieve, but few do so well. Knowing this land, and photographing it extensively myself has given me a real understanding of the complexity and intelligence Janssen navigates in. The photographs are hand-pasted and presented in a style similar to a folio or even a family album, further giving the sense of intimate connection. 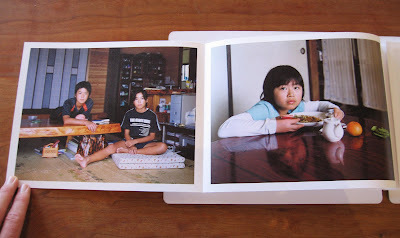 Janssen’s other 2010 publication, Amami, is a book I keep picking up and glancing through. 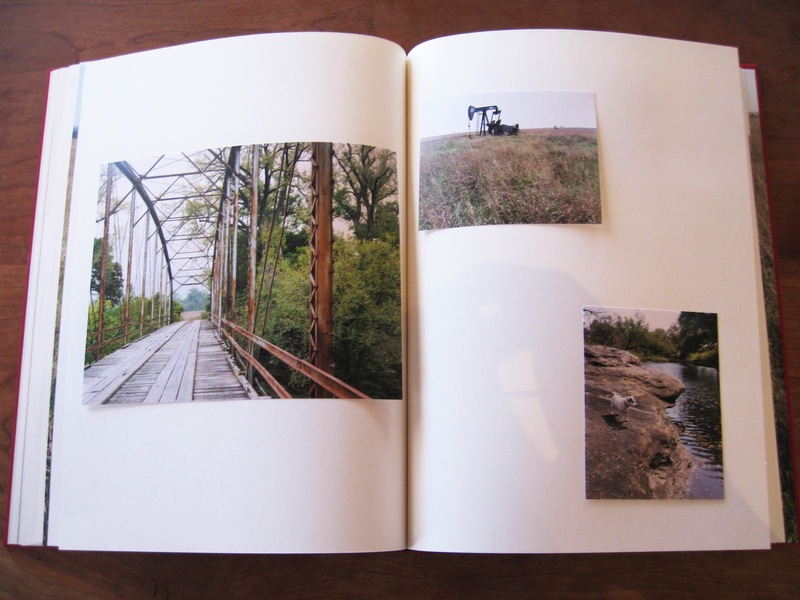 The layout of the book continually brings me back to the relationship between the photographs; the photographs appear on numerous printed pages that open up to double gatefolds. The singular printed images showcase photographs of the natural world, while the double gatefolds present portraits of school children. Included are several short texts and even some Polaroid images. The photographs were taken on the Japanese Island of Amami-Oshimasub, a sub-tropical environment that allowed Janssen’s landscape photographs to flourish. Like the previous two titles, Amami celebrates the interconnected relationship between her portrait subjects and the natural environment. Click on the titles for purchasing information on Amami, My Grandma Was a Turtle, and There is Something in the Air.